The 2018 MMS Summer Montessori Meet-Ups line up has been set. Meet-Ups are opportunities for MMS families and friends to connect and have fun over the summer. This is a great way for new families to meet others and for current students to say in touch with their friends in the weeks ahead. 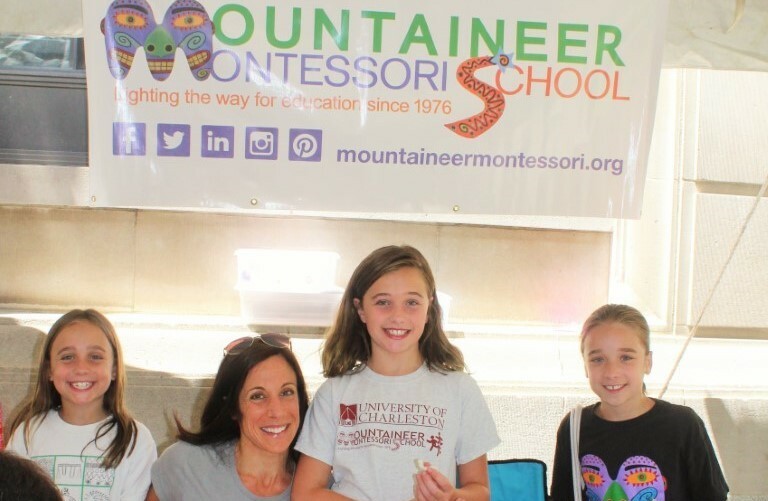 While most events have a contact person listed, no RSVPs are needed unless noted…just show up and hang out with your Montessori friends… wear your “M” shirts and look for others wearing their MMS colors! Please note that this calendar may be updated with additional activities or changes as events and/or weather dictate. Watch your email, social media and the MMS blog for updates. 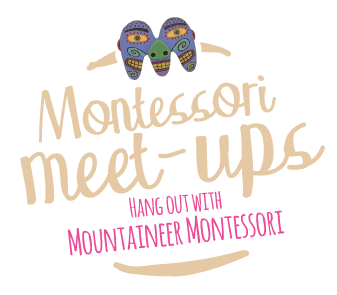 If you have an idea for an additional activity, please contact Hollie Hubbert, the 2018 Montessori Meet-Up Coordinator at Hollie.M.Hubbert@wv.gov; 304/389-3031 (cell). Sunday, June 3: Symphony Sunday. Bring a blanket or lawn chairs and enjoy a free West Virginia Symphony Orchestra performance and fireworks! A variety of great food vendors will be available. Contact: Hollie Hubbert, Hollie.M.Hubbert@wv.gov; 304/389-3031 (cell). Sunday, June 10: Greenbrier Pool Party starting at 1:00 p.m., 5103 Chesterfield Avenue in Kanawha City. Admission is $3 for non-members. Concessions open for lunch and snacks. Bring bathing suit, sunscreen and towel. Contact: Holly Hubbert, Hollie.M.Hubbert@wv.gov; 304/389-3031 (cell). Saturday, June 23: FestivALL Children’s Art Show. Join MMS from 10:00 a.m. to 6:00 p.m. for make-and-take creative fun at our booth at the Kanawha County Library, presented annually as part of the the FestivALL Children’s Art Fair. Volunteers needed . Contact: Jennifer Carriger, jcarriger@mountaineermontessori.org. Wednesday, June 27: Dakota & Friends Dino Party , Kanawha County Public Library Main Branch, third floor, in downtown Charleston at 6:00 p.m. Dino Ed will be bringing realistic dinosaurs to the library! You may even get to ride one. See a baby dinosaur hatch from an egg and meet the triceratops triplets! Contact: Hollie Hubbert, Hollie.M.Hubbert@wv.gov; 304/389-3031 (cell). Saturday, June 30: Magic Island Picnic , 10:00 a.m. (West Side of Charleston). Meet for splash park and playground fun and a picnic. Bring your sunscreen, bathing suits, beach towels, volleyball for sand volley ball, soccer balls and bikes–so much to do on Magic Island. Don’t forget to pack a picnic lunch and blanket or lawn chairs. Contact: Enybe Diaz, enybe.diaz@wv.gov. Monday, July 9: West Virginia Power vs. Hagerstown , 7:05 p.m. at Appalachian Power Park. Head out to the old ball game with MMS! Meet around section 102. Contact: David Bailey, david@sellingwv.com. Friday, July 20: Live on the Levee , Haddad Riverfront Park. Live on the Levee brings live music to Charleston every Friday during the summer. Opening acts start at 6:30 p.m., with the headliners taking the stage at 7:30 p.m. Food vendors begin setting up at 5:00 p.m. Meet up near the sandbox. Sunday, August 5: Greenbrier Pool Party starting at 1:00 p.m., 5103 Chesterfield Avenue in Kanawha City. Admission is $3 for non-members. Concessions open for lunch and snacks. Bring bathing suit, sunscreen and towel.Contact: Holly Hubbert, Hollie.M.Hubbert@wv.gov; 304/389-3031 (cell). Saturday, August 18: Downtown Streetfest, 4:00-9:00 p.m., Capitol Street. Thursday, August 23: MMS Back to School Ice Cream Party at Danner Meadow Park. Details TBA.